WASHINGTON — Immediately after settling a sexual harassment suit using taxpayer money that he offered to pay back (but never did), former U.S. Rep. Blake Farenthold, R-Corpus Christi, took a $160,000-a-year job as a legislative liaison for the The Calhoun Port Authority. In response, last Wednesday, Rep. Mark Walker, R-N.C., introduced the BLAKE Act (or Bad Lawmakers Accountability and Key Emends Act), in order to block former members of Congress from lobbying their colleagues if they never repay taxpayer money they used to settle litigation. But the BLAKE Act, in its current state, would not affect people like Farenthold who aren’t legally classified as lobbyists. Technically, Farenthold was hired as a state employee, meaning that he does not fit the definition of a lobbyist, is exempted as a state employee and was never required to register as a lobbyist with the Office of the House Clerk. "It looks like this would be an exemption if a member of Congress were an employee, rather than a contract lobbyist," said Michael A. Nemeroff, senior counsel at Sidley, one of the largest law firms in the U.S. "This exception should be considered by Congress if they're considering passing the BLAKE Act." The bill would stop members who repeat Farenthold’s actions and then are classified as lobbyists, but new legislation passed in December already made members of Congress personally liable for sexual harassment claims, preventing them from using the same funding Farenthold used for his settlement. 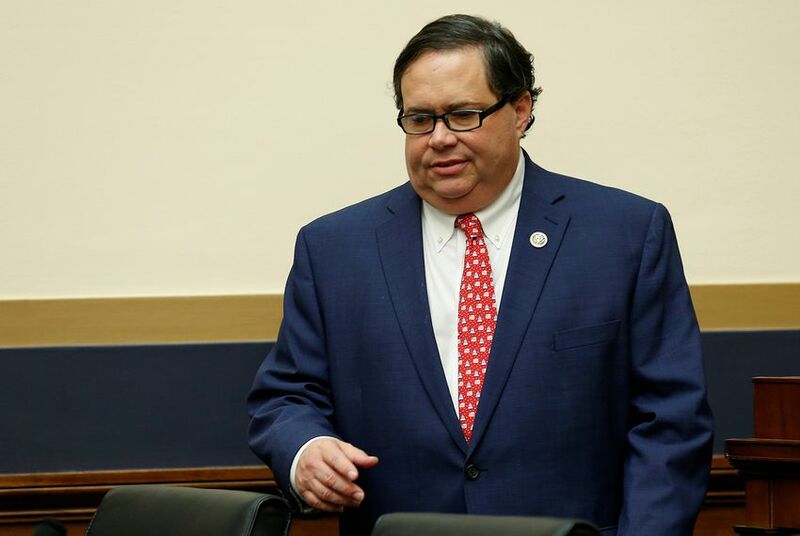 Although Farenthold resigned from his lobbying position last month “to pursue other interests and opportunities,” one local newspaper is still embroiled in a lawsuit trying to understand exactly what Farenthold did for $13,333 each month. The Victoria Advocate first became involved in August, when it obtained emails that showed Farenthold's office allegedly tried to steer government contracts toward a private company owned by Calhoun Port Chairman Randy Boyd. Farenthold’s office arranged a meeting in May 2015 between Boyd and the Army Corps of Engineers, but the Corps declined to work with Boyd's company, according to the Victoria Advocate. For the last year, the Victoria Advocate has been suing the Calhoun Port Authority for not publicly disclosing Farenthold’s hiring, a breach of the Texas Public Information Act. As for what Farenthold did, it’s unclear since there are no public records. The BLAKE Act would not apply retroactively. Walker told HuffPost that he is aware of this and plans to submit a letter to House Speaker Nancy Pelosi, D-Calif., and House Minority Leader Kevin McCarthy, D-Calif., asking their delegations not to speak to Farenthold. Walker's office did not respond to multiple requests from the Tribune for comment. “We both agreed that in a month or so that this would die down and we would be able to go on with my job without a lot of media scrutiny,” he said.